Sleeper draftboards make drafting modern, social, and fun. 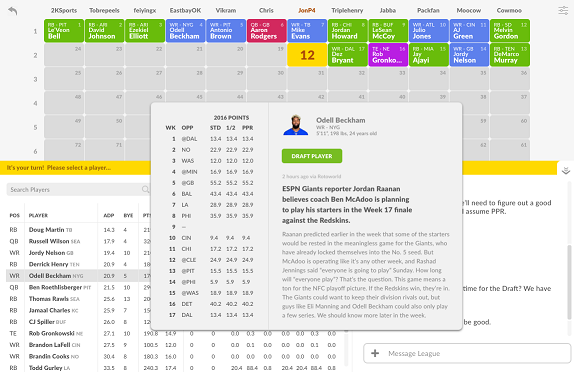 The draftboard provides a full birds-eye view of your league's draft activity, which means that you can get all of the summary information you need without having to tab around to find it. Existing platforms use a list format, and much of the key information is buried into different tabs. This makes it extremely cumbersome to jump back and forth to find the information you need (e.g., what does team 10's roster look like? or which positions is team 3 low on?). On our draftboards, all picks by all teams are visible in real-time. You can even call up player stats and news right in the draft interface to do research while you are keeping track of what is going on in the draft. 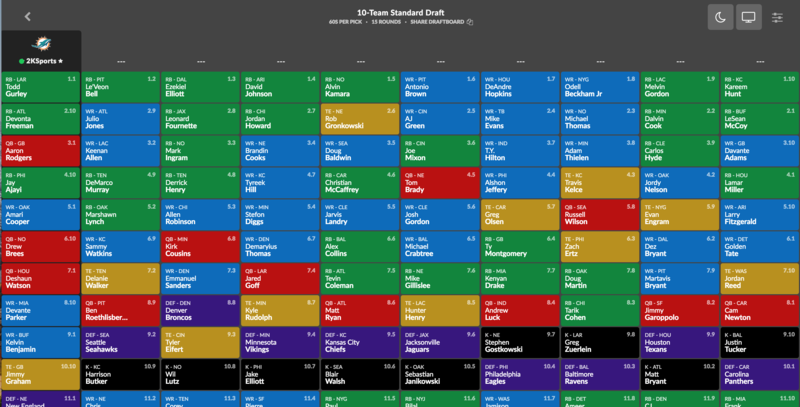 In addition, all draft picks are color-coded by position so you can quickly scan the board to get context for your own drafting strategy. Turn on dark theme by clicking the moon icon. You can also turn on big screen mode, then cast your board to the TV by using an HDMI cable or Chromecast. You can also open a second tab for yourself for drafting purposes. 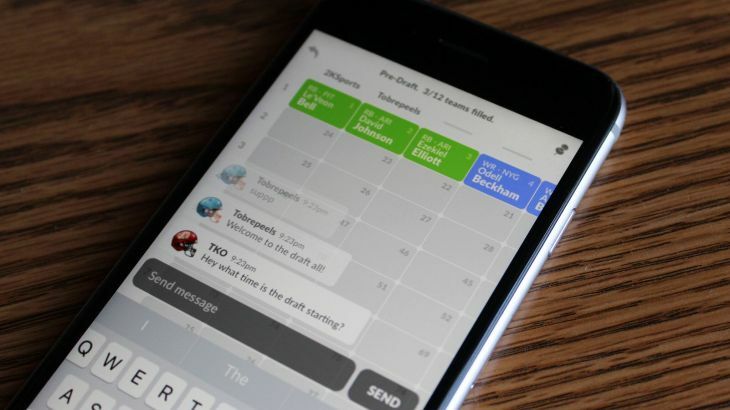 Keep in mind that you can also draft from the Sleeper mobile app for iOS and Android. Everything is real-time and fully synced, and our boards load up 10-20x faster than Yahoo! or ESPN live drafts.